Great match was expected between TYLOO and HellRaisers and they surely delivered. TYLOO started strong with taking 4 rounds in a row before HellRaisers made adequate changes and got on board. After that point it was HellRaisers who controlled the game as they lost just 3 rounds of remaining 11, to finish half 8:7 in their favor. 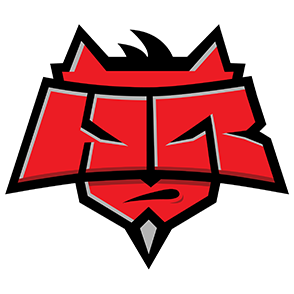 HellRaisers continued how they’ve finished first half with complete control over map. Six consecutive rounds – only one defused – shows how dominant they are on CT side. 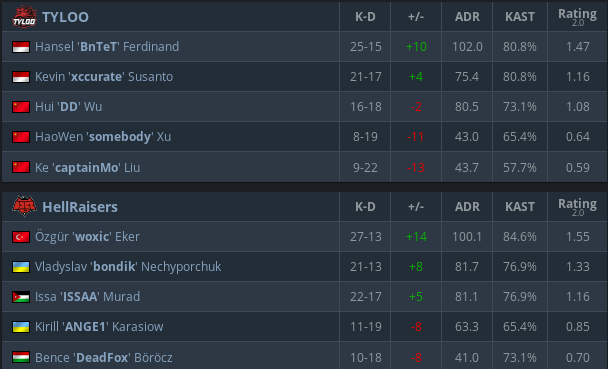 Result 13:8 forced TYLOO to play more aggressive and it resulted with two round under their belt. However HellRaisers stopped that mini streak and got to a map point 15:10. It didn’t took time at all for HellRaisers to close out the game as they take next round for final 16:10. HellRaisers are now 2:1 and one victory is keeping them from advancing while TYLOO is at 1:2 and next match will be do or die.